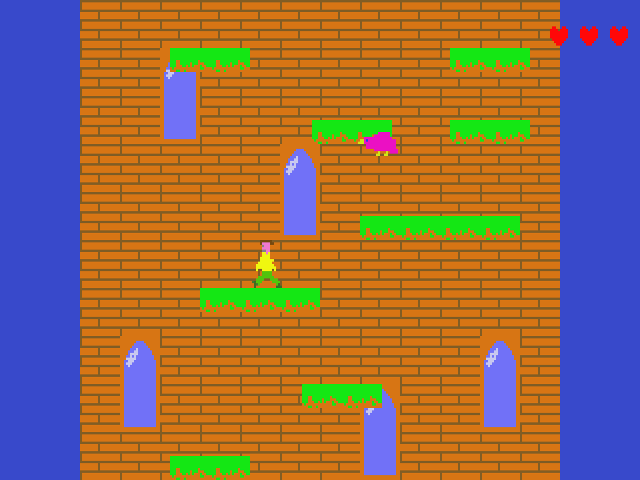 Controls: left and right arrows to move, space to jump, X to fire. 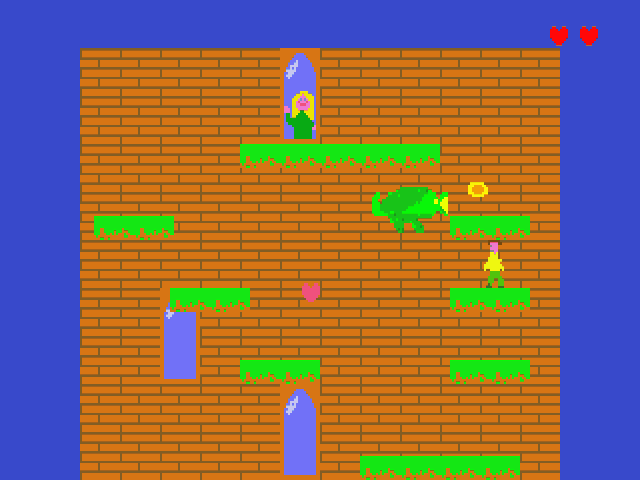 Press and hold the up arrow before pressing X to fire upwards. 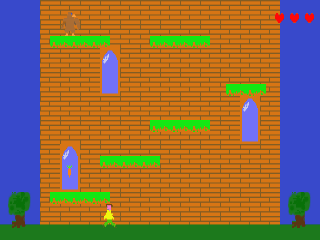 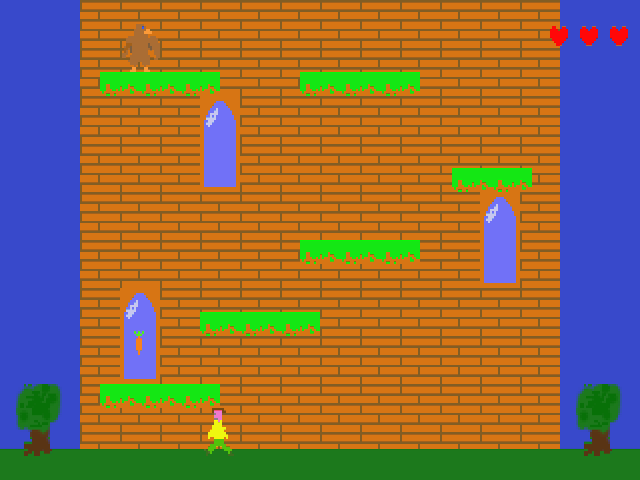 A game in the classic arcade style, you must climb up the tower and rescue the princess while avoiding or defeating enemies.